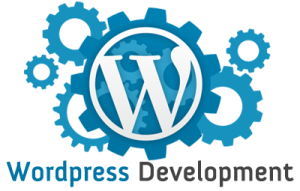 Oganro is your number one choice when it comes to WordPress website design services. We offer services that are affordable, fast and efficient to get you on the road to a site that is fully integrated. The WordPress websites we create are modern and polished and we utilize the best and latest technology in order to accomplish this end. The following highlights some of the things you should expect once you decide to work with us. Through our WordPress website design services we give you a site that is user friendly. This means you don’t need to have any HTML knowledge in order to use the site. We create a site that gives your visitors a positive experience and this in turn increase the revenue made by your business. Our team will ensure that the solution they offer makes you appealing to your targeted market. We guarantee that any clients or visitors you might have lost will come back. The WordPress website design services we offer are based on a WordPress 3.1 foundation and this has by far surpassed the average platform for blogging. It is this aspect that makes it a CMS which is commonly known as Content Management System. CMS refers to a combination of different applications, programs, tools and plugins which work together in a cohesive manner in order to deliver a website that is perfectly customized.